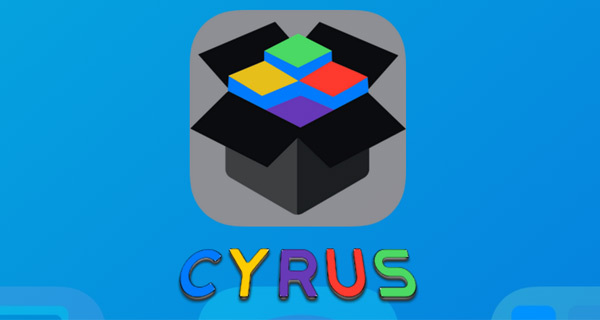 You can now download Cyrus Installer on iOS 10 and iOS 11 to install tweaks and apps with no jailbreak being required to work. We’ve seen many apps dubbed as “Cydia alternatives” come and go over the years. Some of those have attempted to directly take on Cydia in a head-to-head war and failed, whereas others, which are generally better classed as alternative app stores, are still continuing to tick over and serve app downloads to users. One of the relatively newer to materialize is called Cyrus Installer, offering a minimalistic approach to installing apps more commonly found on Cydia, but without the need to be jailbroken. Each app of this nature which pops up generally has its own story to tell and its own unique approach to trying to inform users why it’s different to the rest. 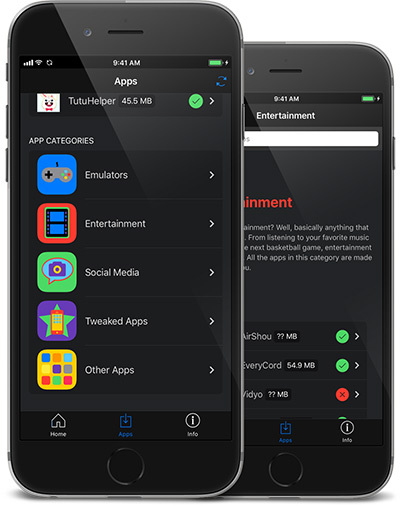 In the past, we’ve seen offerings like TweakBox, AppValley, and TuTuApp popping up offering the ability to install software more commonly found on Cydia as well as apps taken directly from the official App Store. The new Cyrus Installer brings a similar proposition but doesn’t actually offer any App Store apps, choosing instead to focus on installations more commonly found on Cydia. The user-interface and user-experience is extremely minimalistic and uncluttered. It appears that the whole app has been designed to introduce as little fuss as possible into the user’s life, meaning that those who do opt to give Cyrus a whirl can get to the content that they want quickly and efficiently. At the time of writing the platform contains 86 individual installations, including popular downloads like Snapchat++, GBA4iOS, and EveryCord. And of course, the intention here is to substantially grow that library of apps to keep users coming back for more and to ultimately grow that user base. The interesting thing here is the experience that Cyrus Installer provides. Users have started to expect apps of this nature to be clunky, buggy, and full of popups or pesky ads which are necessary to be able to continue to provide services like this. Cyrus, on the other hand, looks to at least attempt to deviate away from all those by offering an entirely free service which is funded partly by small ads, and partly by donations from thankful community members. We can only hope that this one stands the test of time and thrives in an environment where others have failed. To get started, simply head over to cyrusinstaller.com to get the app up and running on your iOS device. Where can i download this installer? yup.. I can get the file.. but, no idea how to install it.. anyone? I installed this earlier today and so far it is very good. Easy to install and it has a few good apps that i’ve been waiting patiently for (jailbreak wise). Thumbs up and a donation from me. It is working today! I tried yesterday and it wasn’t working for some reason (ofc my comment about that wasn’t approved…), but it all seems to be working today! All except iTransmission but it’s all good if Kodi is working. You might need to install Tutu before installing others. interesting. I wish they had app descriptions, though, for each app, instead of simply going directly to install. When I open the Cyrus app, advertisement is just on, There is no close button. Irritating, can’t do anything. Please advise.